Few poetic forms have found more uses than the sonnet in English, and none is now more recognizable. It is one of the longest-lived of verse forms, and one of the briefest. A mere fourteen lines, fashioned by intricate rhymes, it is, as Dante Gabriel Rossetti called it, "a moment's monument." From the Renaissance to the present, the sonnet has given poets a superb vehicle for private contemplation, introspection, and the expression of passionate feelings and thoughts. The Art of the Sonnet collects one hundred exemplary sonnets of the English language (and a few sonnets in translation), representing highlights in the history of the sonnet, accompanied by short commentaries on each of the poems. 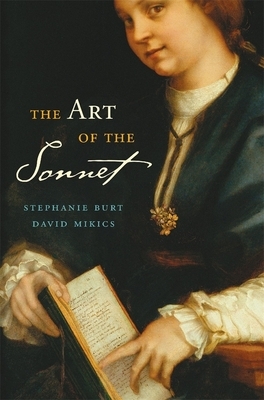 The commentaries by Stephen Burt and David Mikics offer new perspectives and insights, and, taken together, demonstrate the enduring as well as changing nature of the sonnet. The authors serve as guides to some of the most-celebrated sonnets in English as well as less-well-known gems by nineteenth- and twentieth-century poets. Also included is a general introductory essay, in which the authors examine the sonnet form and its long and fascinating history, from its origin in medieval Sicily to its English appropriation in the sixteenth century to sonnet writing today in the United States, the United Kingdom, and other English-speaking parts of the world.